Great Weather, Great Fishing, Great Fishermen! It all came together for the Beau Zanker party as he and his son Ashton and Dave and his son Alex boarded the Milky Way on Sat., May 21st! 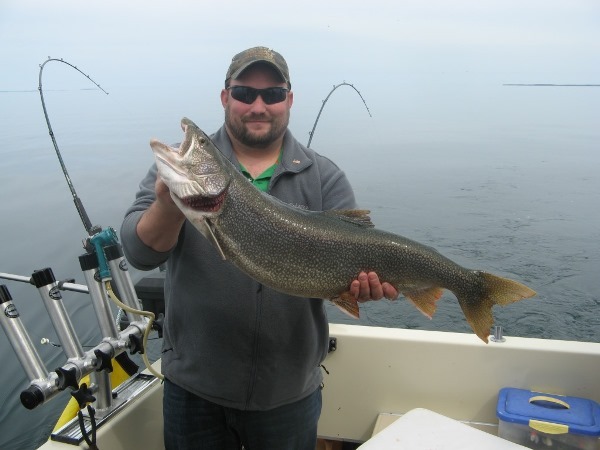 The sun was shining, the lake looked like a mirror and you could not keep the Lake Trout off the lines. 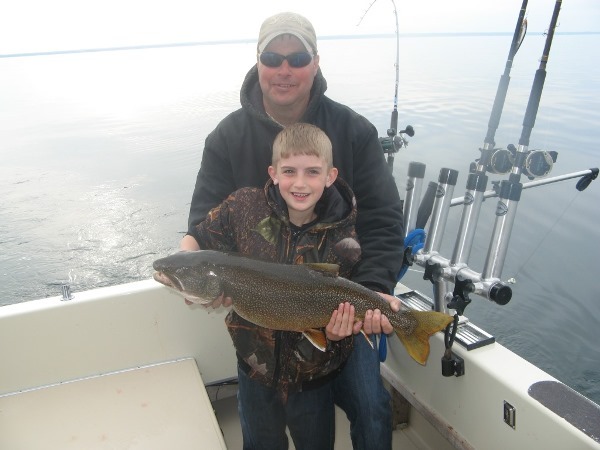 Beau, Dave and their sons caught their limit of lunker Lake Trout with all of them measuring over the slot size except for two! During the process, they also had the fun of catching and releasing many more Lakers. Everyone aboard surely enjoyed themselves and it was fun to see a couple of young boys like Ashton and Alex working their hardest catching lots of fish! Eleven Year Old Beats Everyone by Landing 10 lb. Walleye! 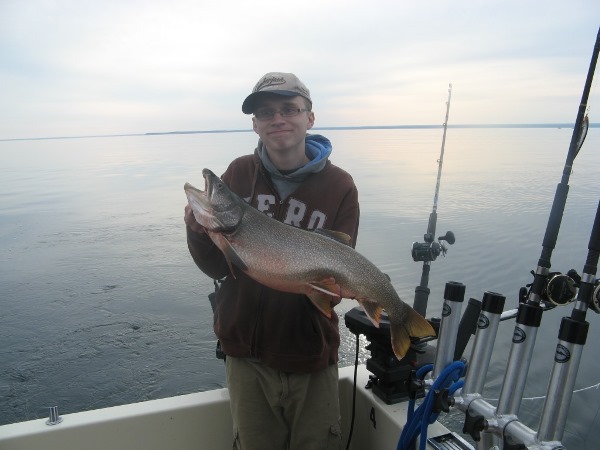 Scott Essig may have been the youngest fisherman aboard the Milky Way on Saturday, May 14th but he earned bragging rights that day by catching the biggest fish which happened to be a trophy 10 pound Walleye! Fort Drum Soldiers Win Battle of the Lakers! 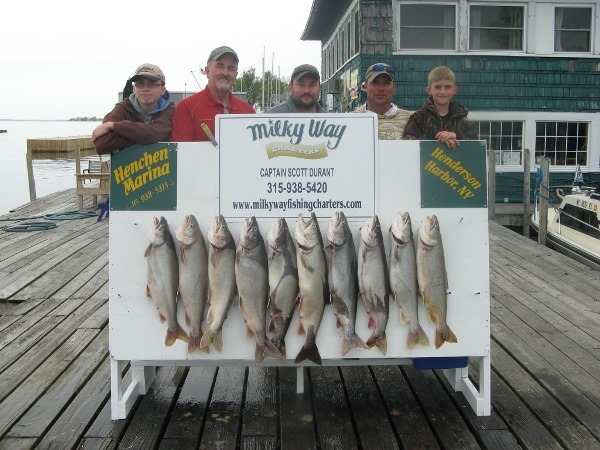 On Saturday, May 7th, the John Reynolds party boarded Milky Way Fishing Charters. What made this day extra special, was the fact that 5 out of 6 fishermen were Fort Drum Soldiers. They armed themselves with fishing poles and showed us that not only they serve our country well, but they know how to fish also!